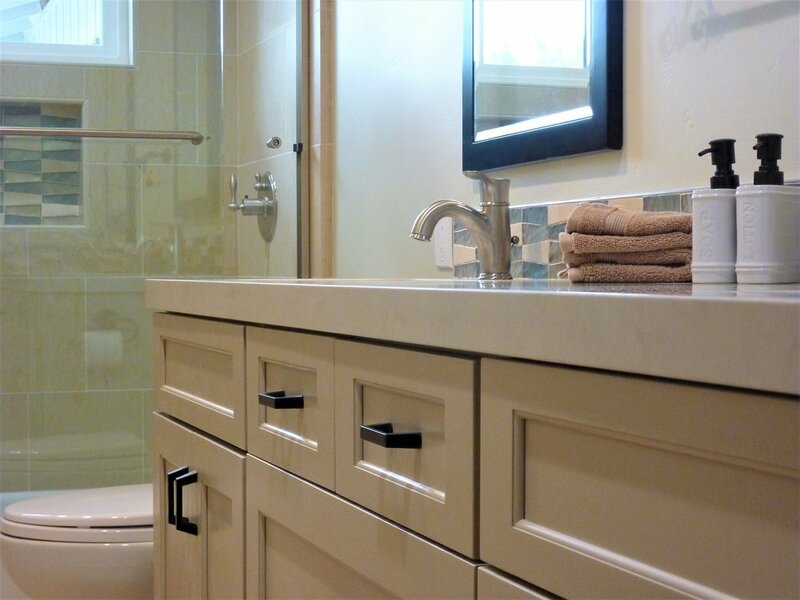 Small changes made a big impact in this guest bath! The layout remained the same, but the bathroom was remodeled from top to bottom. 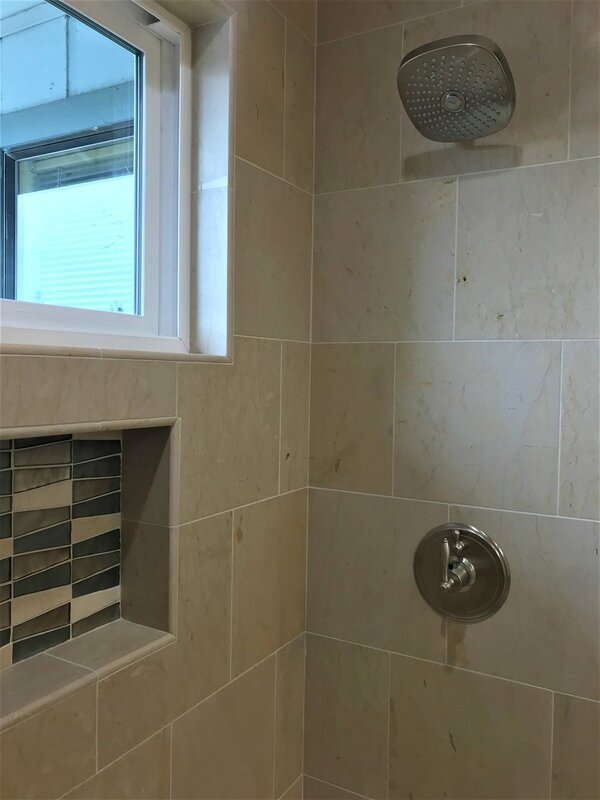 The warm, neutral colors in the limestone floor and wall tile create a beautiful backdrop for the martini glass accent tile and matte black hardware to pop!